The V303E "Italian" Vox Continental was the third version of the model.. 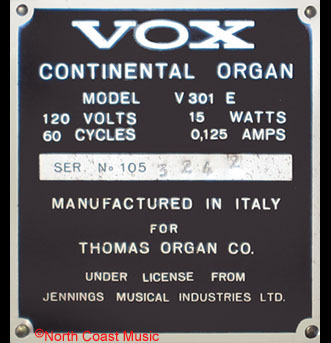 The original V301J Continental Organ was conceived, designed, and produced by Jennings Musical Instruments (JMI), the UK based parent company of Vox in 1962. It was designed by JMI electronic engineers Derek Underdown and Les Hill to be tonally similar to the large Hammond console organs popular with music groups in England during the early 1960s. Their electronic design for the Continental Organ utilzed several hundred germanium transistors. This is significant as germanium transistors tend to be a bit less dependable than silicon transistors. Unfortunately, the electronic design of the V301J Continental Organ was finalized by 1962, a period that predated the popular usage of silicon transistors. provision led Thomas to design and produce the V301H, also known as the "American Continental" in 1965-66. Thomas electronically redesigned the circuits in the V301H organ to replace all the germanium transistors in the tone generators, preamp, and vibrato circuits with silicon transistors. The V301H was a short lived model, less than one thousand units were produced. In late 1966, Thomas Organ president Joe Benaron hatched a plan to consolidate all Vox amp and organ production to one plant in Italy. Benaron was unhappy with the high costs of labor in both the US and UK. The plan was to first produce Vox organs in Italy, with amps to follow. Benaron recognized that Italian production of Vox organs offered several benefits. Lower labor costs in Italy would reduce manufacturing costs and improve profits. Italy also offered a skilled keyboard labor force that was honed from years of producing accordians. Even though JMI in the UK rebuffed the Italian production plan pushed by Benaron, Thomas went ahead with the project. 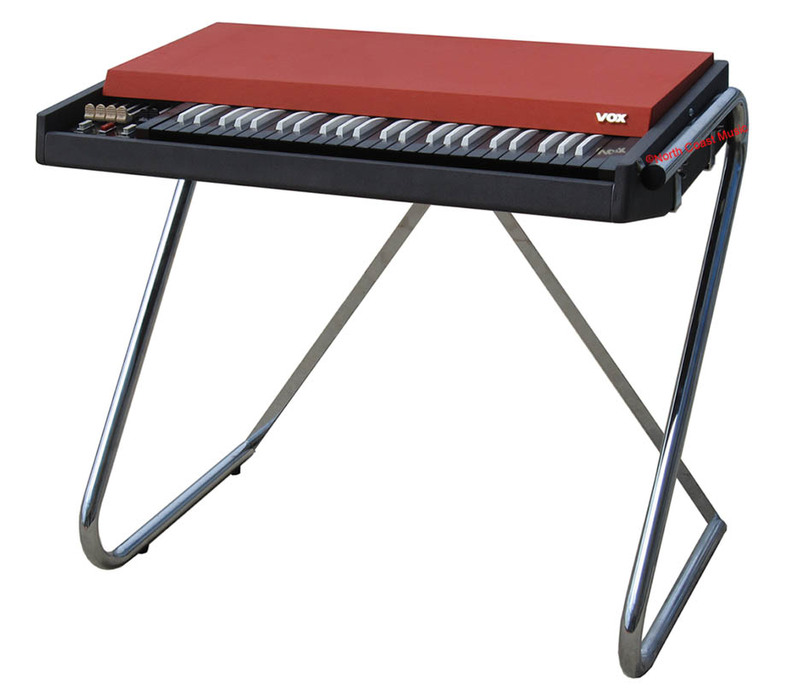 The V301E was the first Vox product to come out of this new production arrangement. Click on the "NEXT" button below to read more.